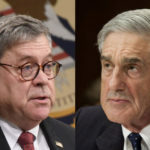 When Donald Trump’s handpicked Attorney General William Barr published his four page “summary” of the Mueller report, it was so cartoonishly slanted in Trump’s favor, even Mueller’s own team has since revealed that Barr is essentially lying about what’s really in the report. At that time, Barr claimed there were no more indictments coming from the Mueller probe, and that Mueller hadn’t recommended any additional indictments. Now we know that was yet another lie. And no, we’re not talking about today’s arrest of Julian Assange, which was for his role in an alleged criminal hacking plot from a decade ago, and is not (officially) a result of Mueller’s probe. Instead we’re talking about today’s indictment of Greg Craig, a former Obama White House Counsel who got himself tangled up in the Paul Manafort segment of the Mueller probe. The charges against Craig aren’t related to the Trump-Russia scandal, beyond the tangential fact that Craig is alleged to have acted as an unregistered agent of a foreign government. But the point is that Mueller uncovered the Craig thing while he was investigating Manafort, and he handed it off to other federal prosecutors last year, and – sure enough – now Craig has been indicted as a result of the Mueller probe. This of course leads to questions about what other indictments are coming down the pike as a result of alleged crimes that Robert Mueller uncovered while investigating the Donald Trump regime, and then handed off to other prosecutors. Mueller investigated so many people directly and indirectly in Trump’s orbit, you’d need a field guide. And now we have proof that when Barr said there were no more Mueller-spawned indictments coming, he was actively misleading us all.